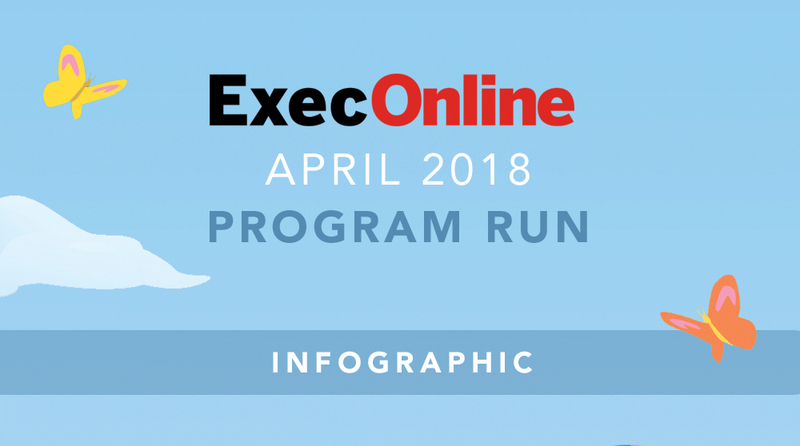 ExecOnline’s April 2018 program run is a wrap! This was our largest spring session yet, with more than 1,400 participants from over fifty different countries. All ten of our corporate programs ran during this session, and participant feedback was something we continue to stand by – 92% of participants were likely to recommend our programs to a colleague, and 96% of participants were likely to apply learnings in their day-to-day role. Graduates from the April 2018 run have already begun their journey in the Impact Accelerator – a 12 month, post-program experience designed to maximize application and impact. Participants will learn from the world’s top leadership experts, advance their personal case projects from their Spring 2018 program, and build their network of peers. We’re looking forward to working with each participant and organization as they continue their learning journey, and are excited to begin our July 2018 run next month.